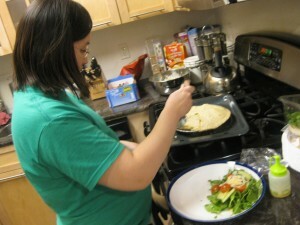 even while pregnant, theresa was cooking away. 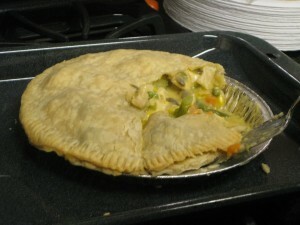 tonite, its chicken pot pie from some fresh ingredients and some pre-cooked veggies; and a delicious crust. it is accompanied by the usual salad seasoned with cheese and pepper. 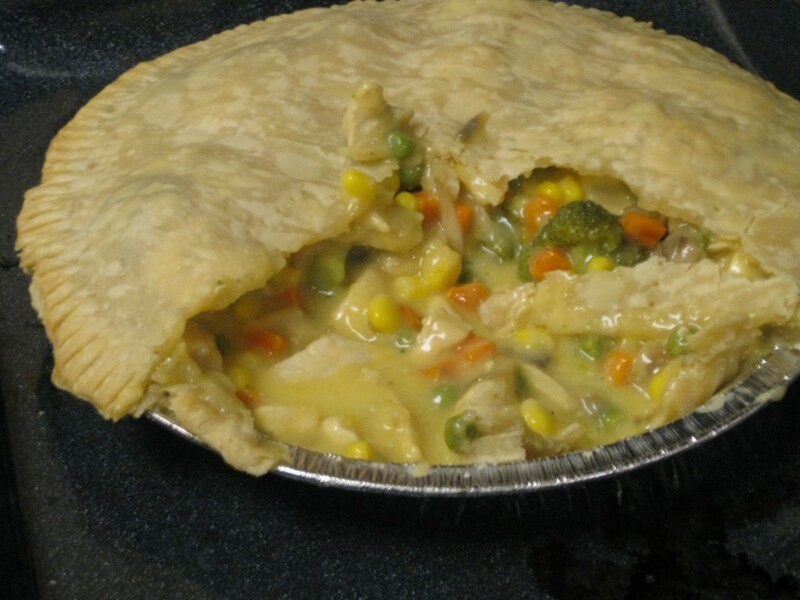 the pies also have cheese. when we have guests over, there’s also a lactose free version but most people take the risk and go cheese anyway. but since its just family tonite, its all cheese. here’s a close up of the yummy goodness. she tried adding broccoli this time with mixed results. most like it but i found it spiking up like cilantro which i tolerate but do not savor. but still heartening and delicious.